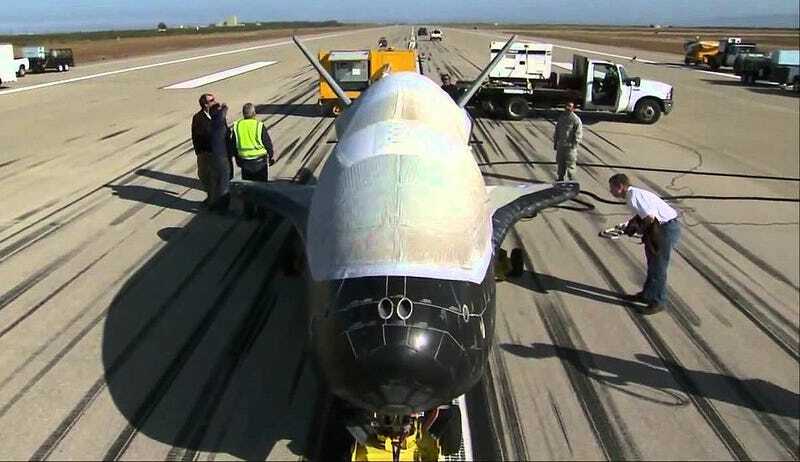 In an unprecedented disclosure from the DoD, we have finally been told at least something in regards to what the USAF’s secretive X-37B spaceplane’s goals are for its upcoming flight. Among other things, it will test an exotic form of thruster propulsion that could have huge implications for future space development. It is a Hall thruster electric propulsion test to enable in-space characterization of design modifications that are intended to improve performance to the units onboard Advanced Extremely High Frequency military communications spacecraft, officials said Monday. Clearly, Advanced Extremely High Frequency (AEHF) satellites are not the only satellites this new technology could benefit. The longer you can keep a satellite aloft, and the cheaper you can put it there in the first place, which is a variable tied to weight, enhances its cost-benefit proposition. As a result, Hall thruster technology could have massive implications, not only in the military space development world, but also the commercial satellite market, via greatly reducing the investment schedules needed for maintaining persistent orbital capabilities and also lowering the cost and enhancing the flight duration for ‘one off’ space payloads. This technology could also help in the development of killer satlets, parasites and other foreign satellite manipulation technologies as it would allow these small satellites to pack more maneuvering capability while also possessing a finer degree of control. That&apos;s No Moon! Did Russia Deploy An Experimental Killer Satellite? Then there is the unmanned X-37B itself, which is a clear candidate for such a technology as it is basically a long endurance space truck. On its last mission it spent 675 days in orbit. With this new thruster technology, its endurance could be enhanced even longer. So there you have it, our first hint as to what the X-37B’s mission, or missions as it may be, truly are. Still, refining an already fielded advanced maneuvering thruster is probably just the gray tip of a very large black iceberg when it comes to the rest of this shadowy vehicle’s true mission set.